Half height turnstiles are ideal for controlling access in environments such as reception areas, health clubs, and libraries. 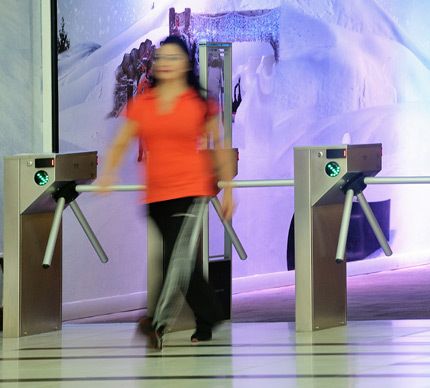 They are a customer-friendly alternative to full height turnstiles, and provide an unobtrusive method of controlling flow to certain low-security areas of your premises. Styled in a tripod design, both single and double half height turnstiles are available allowing you to double your throughput while keeping the amount of space used by the turnstile to a minimum. Combined with proximity smart card access control, your system is able to allow or deny access almost immediately.